The new DataLogic DS6300 is an industrial fixed positioned bar code reader specifically designed for the needs of the manufacturing market. 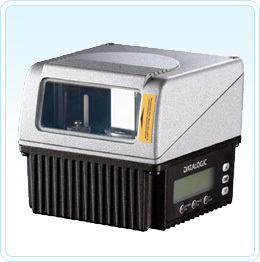 With the DS6300, DataLogic introduces a new family of industrial readers, designed to offer a complete and modular solution in terms of reading performance, connectivity, ease of use and maintenance. A completely new HW and SW platform has been created as well as an innovative mechanical design, with the Step-a-Head™ feature, making it possible to rotate the reader head and the decoder base independently from each other. Power Consumption: 15 W max.